Voyage of Kiri writer Kristian Beadle, still on the road in El Hippo, reaches a part of the Pacific Coast of Baja where he learns that cooperation is the key to sustainable fisheries and livelihoods. Location: In Punta Abreojos, in the southern part of the Vizcaíno Peninsula, on the Pacific Coast of central Baja. Conditions: The wind never stops. The car is dusty, inside and out. Discussion: "No fishing today," said Daniel matter-of-factly, his pseudo-bloodshot eyes fixed on the ocean, his big hands clasped calmly together. His living room window had a direct view of the gale-force wind buffeting the small cove of Punta Eugenia, the "safe harbor" for 20-odd pangas with matching yellow paint, including Daniel&apos;s own. The conditions did not bode well for our planned 5-mile boat passage across to the small island of Natividad, which was visible in the distance. It seemed futile to fight, so Alyssum and I acquiesced to our host&apos;s insistence on serving us more Nescafé and the local delight, sea snail dip with crackers. We had arrived in this most remote, desolate-feeling tip of the Vizcaino peninsula (the landmass jutting westward from Baja like a blunt dagger), after a change of plans. When the director of CONANP, who manages El Vizcaino Biosphere Reserve, said the fishing cooperatives in this zone are world-class and have "sustainable certifications," I figured it was probably just self-aggrandizing bureaucratic hot air. However, out of spite for my own ignorance, I decided to go see for myself, and we veered off the highway once again. The drive to Punta Eugenia was two and a half hours of washboard dirt tracks, potholed roads and a brief interlude to harvest the salt flats. Our saltshaker was starting to run low, and the football field of salt was too tempting, like an ice-skating rink in the middle of the desert. Still, I never imagined we&apos;d end up with 2 pounds after a few easy scrapes of knife, ahem. I hope the Mitsubishi-controlled salt corporation, 51 percent owned by the Mexican government, doesn&apos;t read this, as I may have infringed on their concessions. My brief lawlessness, if that is even the case (there were no signs), seemed morally justified at the time, since Gandhi himself used such a display as the catalyst call for India&apos;s independence. As it relates to the subject of commercial fishing, which was the focus of this particular side-trip, I would soon realize that a call for dependence, instead of independence (the status quo of modern fisheries), could be more appropriate. Just shy of a bellyache from the delightful but overwhelming sea snail dip, we had already heard a collection of sea yarns from Daniel, such as the first time he saw a great white shark — almost like it was "sleeping" on the sea surface, such that his 20-foot panga motored right up to it and was only slightly longer than the beast; Daniel then hesitantly touched its 4-foot-tall dorsal fin, since those "opportunities" don&apos;t present themselves often, and finally the shark stirred and it placidly swam away. "It was just this year; I think the waters are changing and bringing them south, but they are confused." One of the divers in his cooperative was bitten, he answered in response to my imprudent question, but of all things, by a mad sea lion. Now, such tall tales would appear to discredit the man&apos;s believability, but here they are out of context. The context being a series of questions I was asking, which in his polite and matter-of-fact way, Daniel answered: "Lobster season starts in October. ... Oh, for recreation, I watch TV with my mom, and work on the boat so it&apos;s ready when the season comes. I want to retire in two years. ... Those shacks with radars? That is part of the cooperative&apos;s surveillance against illegal boats." I paused. You mean the shack I drove to, on the edge of the cliff, with the mean German shepherd snarling at me, was a surveillance facility? "Yes, during lobster season pirate boats try to steal our traps during nighttime. ... No, I don&apos;t respond to the call - that&apos;s somebody else&apos;s job in our cooperative." The VHF radio crackled, and after listening attentively, Daniel adjusted the squelch down with stubby fingers and said, "Sounds like Monday we&apos;ll be doing clams. ... Why? It just is. Last week, they were saying the biologists need to investigate the abalone for a month." I was thoroughly perplexed. The level of sophistication displayed by this middle-of-nowhere fishing cooperative was unexpected. Despite being in a developing country with a proud culture of mañana, it is highly organized with a system of ecosystem safeguards and community involvement. I am no fisheries ecologist, so my commentary is simplistic, but this didn&apos;t look like the environmental "tragedy of the commons" that was immortalized with collapses of North Atlantic cod or the social distress of the "race to fish" caused by individuals competing for a total allowable catch — come hell or high water. This appeared to be an efficient community of humans finding balance - dare I say it? — with nature. The next morning, the wind continued to blow, so we bit the bullet and went to Isla Natividad with white knuckles holding onto the panga. We learned that the island&apos;s cooperative also manages a network of reserves and protected areas, which are either permanent or cycled every six years, under surveillance 24/7 by cooperative staff. Recently, nongovernmental organizations such as Reef Check and Mexico&apos;s Comunidad y Biodiversidad are assisting the cooperative to finance the permanent reserves, for possible inclusion in the cooperative&apos;s 2011 management plan update. The island of Natividad is within the El Vizcaino Biosphere Reserve, and is home to 95 percent of the global population of black-vented shearwaters, unique birds that burrow into the ground during the day. After feral cats threatened the endemic birds, the cooperative assisted with the removal of all invasive species, including goats and sheep that ate the birds&apos; habitat. As a tour by one of the co-op members showed, the shearwaters have been recuperating. Later that evening, Alyssum and I had dinner at Mari&apos;s, a local family home (there are no restaurants on the island). Their 18-year-old son confirmed that domestic mammals are no longer allowed on the island - including cats, dogs, goats or cows. 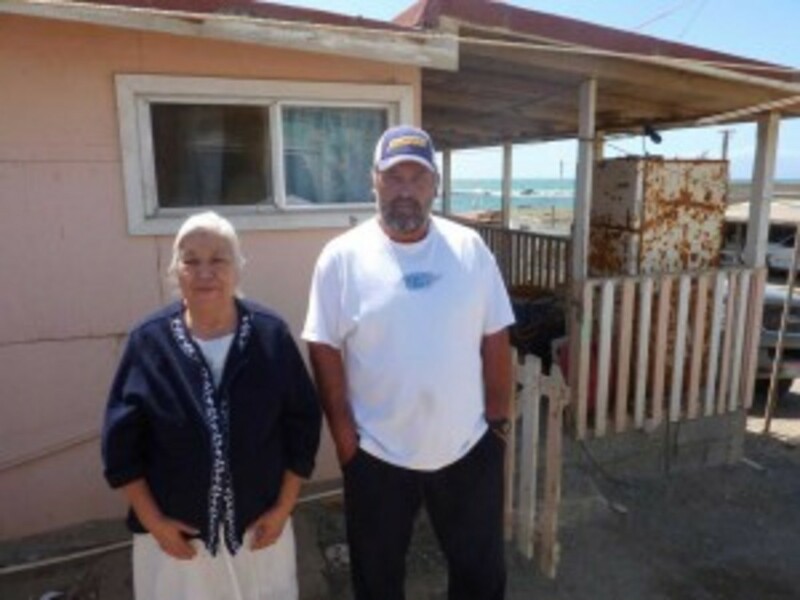 He wanted to study marine biology in Ensenada and return to Natividad to monitor fish stocks. The biosphere manager hadn&apos;t blown hot air at me: In 2004, nine cooperatives in the Vizcaino peninsula, including Punta Eugenia and Isla Natividad, successfully became both the first Latin-American and the first artesian fishery to be certified with the Marine Stewardship Council for its red rock lobster catch (the fishery is currently undergoing a standard five-year reassessment). With the certification, the cooperatives can make the most of a growing market for sustainable seafood — although some critics claim the costs outweigh the benefits of MSC certification. Nevertheless, this is part of an important affiliation — with scientists, NGOs and government bodies — that will help these cooperatives adapt to an uncertain ecological future. For example, independent surveys by a fisheries research center in La Paz, Baja Sur, called CRIPs for its acronym in Spanish, help the cooperatives determine their catch quotas. Eduardo Henriquez, staff biologist at the Punta Abreojos cooperative, the third cooperative I visited, described the biggest challenges they are facing: higher frequencies of red tide and abalone disease ("hot foot"), both of which are related to climatic and oceanographic changes. 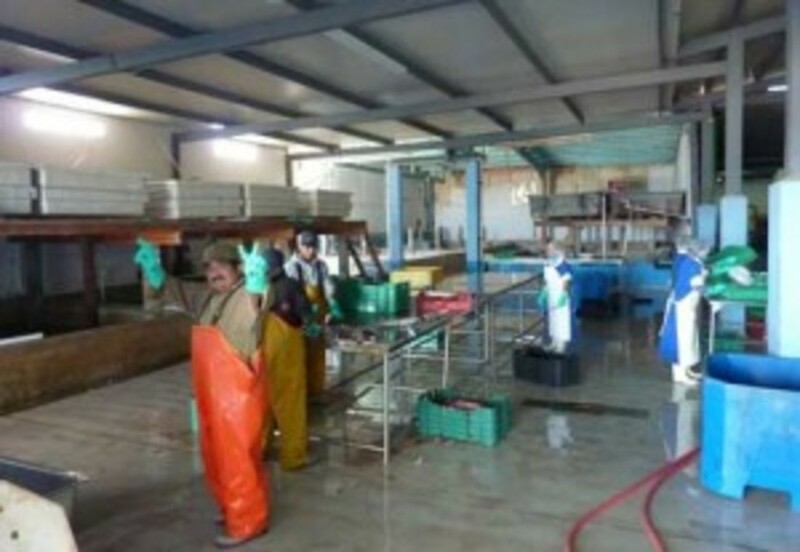 The Punta Abreojos cooperative is actually part of the U.S.-based Waterkeeper Alliance, which supports their fundraising for conservation and management of the fishery. Instead of flying solo, the relationships fostered by these forward-thinking cooperatives will help their well-being. Making a living in the freedom of the ocean, it is natural that fishermen are fiercely independent types. However, the success of these cooperatives is that they are dependent on the health of their ecosystem and on each other. The reason they put long-term ecology ahead of short-term profits is because their zones of control are clearly defined and enforced. They have been governing themselves efficiently. If harvesting illegal salt is a parable for self-governance, in the case of Gandhi it was for the independence of India; in the case of fisheries, it might be for the slice of nature that they can depend on.